Today I am sharing a couple of quick and easy to make St. Patrick's Days cards. The sentiments on both are computer generated and can be adapted to make Good Luck cards if you don't celebrate St. Patrick's Day. 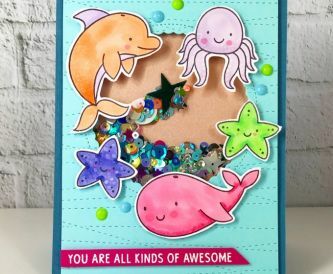 I love making shaker cards and this cute sea life shaker card will certainly make someone smile. 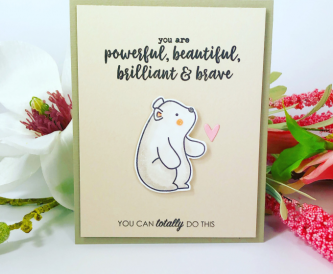 A sweet bear card for someone special. 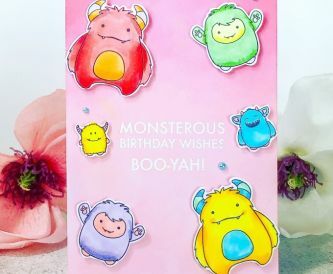 This is super easy to make and does not take much time as there is only one image to colour. 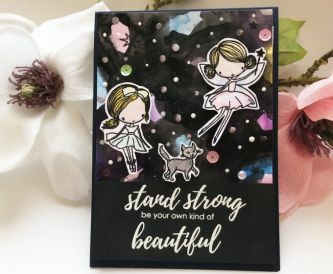 If you have seen any of my cards before you will know that I love to try use up as many scraps as I can. 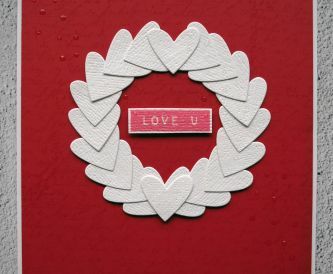 So when I started doodling valentines card ideas (on a scrap of card) and looking at what dies I had that might work I recalled a card I saw by Shari Carrol for Simon Says Stamp. 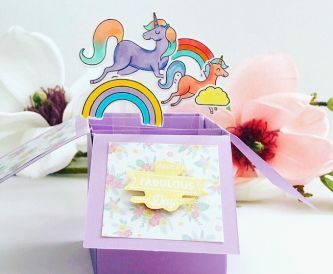 It is Pinned here for handy reference if you are as avid a Pinterest user as I am! 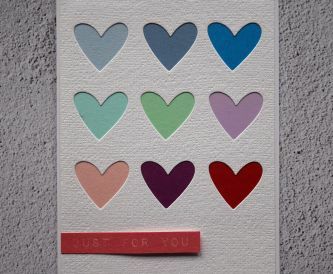 I recently made a card where I had to cut out a lot of white hearts. The hearts were sitting on my desk. A circle frame left over from another project was sitting near them, and I started playing with them. 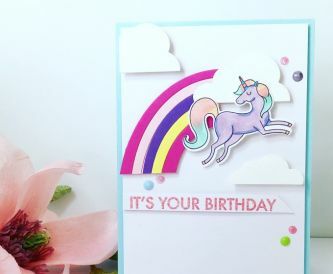 Then suddenly I was cutting more white hearts and this card happened! 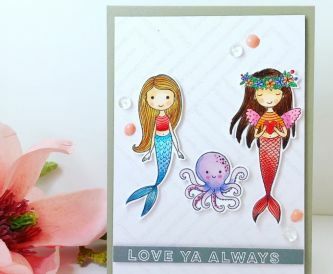 A sweet fairy card for someone who needs a bit of encouragement and a smile.